A small human skull adorns the desk of associate chair of the Department of English Stephanie A. Smith. Colorful beakers are scattered throughout the room. Smith said the space reflects her love of “Sherlock Holmes,” one of her favorite book series. An author herself, Smith will be at the Library West cafe lounge tonight at 6 p.m. to chat with students about what it’s like to be published. 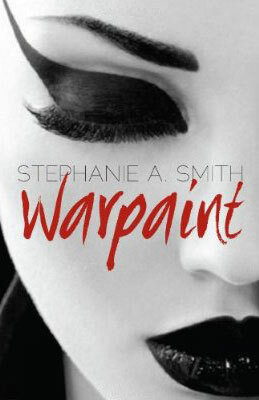 At the Authors@UF event, Smith will focus on her own characters and read from her “Warpaint” trilogy. Smith, who has penned six novels and two works of criticism, said she plans to focus primarily on the trilogy during the event. “I want people to walk out and say, ‘I want to read that book,’” she said. The event is free, and refreshments will be served. A literature professor at UF for 24 years, Smith had her first novel published when she was 21. She said she has never struggled with writer’s block. When working, she will sit down for two to three hours a day and just write. After writing her third novel, Smith decided she wanted to take her career in a different direction, and she began to work in historical fiction. “I just didn’t want to spend most of my time inventing worlds,” she said. Although it cost her the stability of a publisher, her new pursuit led to the beginning of the “Warpaint” trilogy. Kenneth Kidd, professor and chair of the English department, said he enjoyed Smith’s work. The trilogy deals with identity and characters discovering who they are, he said. Isabel Silver, one of the organizers of the Authors@UF program, said she was thrilled Smith was available. “It’s an excellent opportunity to talk to someone who is productive and interesting,” she said. Smith plans to begin work on another trilogy following the release of “Content Burns.” The books will focus on characters who have reached a point in their lives where they need to reinvent themselves. “The books are really about finding yourself again,” she said.